Welcome to the OMMA page for MERCY. How To Get Your Card in Oregon, USA. How To Get Your Card elsewhere in the USA, and around the World, coming soon. Our guide to How To Qualify for Medical Cannabis as we know it. This info is specific to situations within the State of Oregon, United States of America. References to/for other situations will be made available as we identify and organize them. In the meantimes, just end cannabis prohibition! Click here for some history and links. The Medical Marijuana Dispensary Program (MMDP) would like to inform all dispensaries that they must continue to follow all dispensary rules. Dispensaries cannot sell to the public when Measure 91 goes into effect on July 1, 2015. If the law changes, allowing early retail sales, the MMDP will send out official notice and instructions including the effective date. • All transfers of marijuana from a dispensary must be done in the dispensing room and only to OMMP patients and OMMP caregivers in accordance with 333-008-1245. • All transfers of marijuana to a dispensary must be done in accordance with OAR 333-008-1230. • Dispensaries cannot provide, sell, or dispense marijuana at an offsite event or to an offsite event. • Marijuana may not be provided, sold, dispensed, or otherwise transferred to members of the public by a dispensary on dispensary property. This includes any transfers by vendors on dispensary property. • A cardholder’s photo ID and OMMP card must be checked every time before the cardholder is allowed to enter the dispensary and the names on the OMMP card and the ID must match. • A grower may only enter a dispensary if he or she is there to transfer product to a dispensary and is authorized to do so by his or her patient. • Consumption, ingestion, inhalation or topical application of usable marijuana on the premises of the dispensary is not allowed except by an employee who is an OMMP patient, during the employee’s work shift at the dispensary when it is necessary for the employee’s medical condition. The employee can only consume on premises, alone in a closed room, and where the employee is not visible to the public outside the facility or visible to patients or caregivers inside the facility. • Members of the public are not allowed into the dispensary. • NO cardholder may enter a dispensary if they do not have their valid OMMP card AND photo ID with them each time. o NO cardholder may enter a dispensary by the dispensary looking up their OMMP card or photo ID in dispensary records. • NO cardholder may enter a dispensary by using a “safety packet” (i.e. a copy of their OMMP application and the certified mail receipt). • NO cardholder may enter a dispensary by using an OMMP extension letter. • NO cardholder may enter a dispensary by using the cardstock that the card comes attached to if the card has been removed. Click > here< for the latest. The Oregon Medical Marijuana Program (OMMP) is a registry program within the state's Department of Human Services (DHS). The OMMP administers the Oregon Medical Marijuana Act as approved by the voters in November 1998 when Oregonians passed Measure 67 with 55% of the vote. Patients with certain debilitating medical conditions may register with the program and be permitted to possess and grow medical cannabis. Patients suffering from conditions such as cancer, glaucoma, and severe pain may register with the program. Patients may also register a person responsible for a marijuana grow site (PRMG) to grow their medical marijuana and a caregiver to assist them in their use of the medicine. In OREGON | A patient with a valid ID card may use marijuana for medicinal purposes and the patient can designate a primary caregiver to help them with their medicine. Patients may possess "paraphernalia" such as pipes, water pipes, vaporizers, in order to use their medicine. Patients must enroll in the state patient registry and possess a valid identification card in order to be legally protected. With a valid registry ID card you (or your designated primary caregiver) may possess up to 6 mature plants and 24 ounces of dried plant material. You must have the registry identification card with you when using or transporting marijuana in a location other than your home. NOTE: Unless you have been convicted of a Class A or Class B felony under ORS 475.840 to 475.920 for the manufacture or delivery of a controlled substance in Schedule I or Schedule II. If you have had a drug conviction in the past 5 years, you are only allowed to possess 1 ounce of medicine at a time. all resulting in a Problem/Solution (dB) system which will have an interactive component. We hope. Keep yer fingers crossed. > Application Process | After a licensed physician has determined that medical marijuana may be an effective treatment for you, you need to fill out an application and send it to the Oregon Medical Marijuana Program in order to get your ID. You must also pay a $100 fee** and include your physician's statement with your application. Application instructions can be found at http://oregon.gov/DHS/ph/ommp/guideln.shtml. ** Unless you are on the Oregon Health Plan (OHP), receiving monthly Supplemental Security Income (SSI) benefits, or receiving monthly Food Stamp benefits, then you may pay a $20. Also, NOTE: If you have had a drug conviction in the past 5 years - a Class A or Class B felony under ORS 475.840 to 475.920 for the manufacture or delivery of a controlled substance in Schedule I or Schedule II, you are only allowed to possess 1 ounce of medicine at a time. … and download forms from there. MERCY also attempts to maintain a packet of Forms and Instructions in PDF format at: mercycenters.org/libry/OMMA Complete Packet.PDF NOTE: This file is 2 Megabytes in size, so allow time (1+ hours) if you only have dial-up internet service, as opposed to DSL or cable. > Doctor Recommendation | A doctor recommending medicinal marijuana must be a licensed physician who has primary responsibility for the care and treatment of the patient with a debilitating medical condition. OHP: “Oregon Health Plan” means the medical assistance program administered by the Department under ORS chapter 414. Eligibility in the Oregon Health Plan is demonstrated by providing a current, valid eligibility determination statement from the Department’s Office of Medical Assistance Programs. To qualify for a reduced fee, a copy of the patient’s current eligibility statement must be provided at the time the patient submits an application. SSI: “Supplemental Security Income” means the monthly benefit assistance program administered by the federal government for persons who are age 65 or older, or blind, or disabled and who have limited income and financial resources. Eligibility for Supplemental Security Income is demonstrated by providing a copy of a receipt of a current monthly benefit. To qualify for a reduced fee, a copy of a receipt of a current Supplemental Security Income monthly benefit must be provided at the time the patient submits an application. Food Stamps: means the monthly benefit assistance program administered by the federal government for person who has limited income and financial resources. To qualify for the reduced fee, a copy of a current Food Stamp benefit (SNAP) proof must be provided at the time the patient submits an application. The Department may verify the patient's current Food Stamp benefits through the Department or the Department of Human Service's Children and Family Services Department. (4) Wait. All information will be verified. Upon receipt of a complete application, you will be issued a medical marijuana registration card by the Oregon Health Division. Please call (971) 673-1234 if you have any questions. The role of the Oregon Department of Human Services, Health Services is simply to administer the Oregon Medical Marijuana Act as approved by the voters of this State. The Department did not write the law and does not have any authority to change it or to disregard its provisions. The principal goal of the OMMP is to make the registration process work smoothly and efficiently for qualified patients. You must be an Oregon resident to be a registered patient in the Oregon Medical Marijuana Program (OMMP). Your physician must be a Medical Doctor (MD) or Doctor of Osteopathy (DO) licensed to practice medicine in Oregon. You must have an established patient/physician relationship with your "attending physician." Naturopaths, chiropractors, and nurse practitioners cannot sign the documentation. The OMMP cannot refer you to a physician. The OMMP does not have a physician referral list. You must list a grow site address on your application. You, or your designated primary caregiver, may grow your own medication. There is no place in the State of Oregon to legally purchase medical marijuana. The OMMP cannot find a designated primary caregiver for you. The OMMP does not keep a referral list of persons who want to be caregivers for patients. (You are not required to list a caregiver, unless you are less than 18 years old.) Your caregiver cannot be your physician. The OMMP cannot supply you with seeds or starter plants, or give you advice on how to grow medical marijuana. The application fee cannot be waived. Partial payments cannot be accepted. More on Joining the Oregon Medical Marijuana Program (OMMP). Access/ Caregivers | As a patient, you may acquire your medicine by growing it yourself or by having your designated primary caregiver grow it for you. Patients may also give each other marijuana, but the law does not protect the sale of medical marijuana. Grow sites are to be registered with the Oregon Health Authority. Age Limits | If you are under 18, your custodial parent or legal guardian with responsibility for your healthcare must sign a written statement indicating that he or she consents to your to use of medicinal marijuana, agrees to serve as your designated primary caregiver, agrees to control your acquisition of marijuana and the dosage and frequency of your use, and that your physician explained the possible risks and benefits of medicinal marijuana use. Confidentiality | The Oregon Health Authority maintains a list of the people with ID cards, the names of any designated primary caregivers, and the addresses of authorized marijuana grow sites. This list is supposed to remain confidential. It may only be legally accessed by members of the Oregon Health Authority and by state and local law enforcement in order to verify whether someone is a patient, someone is a designated primary caregiver, or whether a location is an authorized marijuana grow site. Insurance | The law does not require a government medical assistance program or private health insurer to reimburse a patient for costs of their medicine. Reciprocity | There is currently no state reciprocity program in Oregon. If you do not have an Oregon patient ID, you are not protected as a medical marijuana patient in Oregon. Both patient and caregiver should be familiar with the provisions of OMMA. The full text of the law and related documents are provided by the Oregon Health Division with their applicants packet for patients and interested parties. Either write to the OMMP at P.O. Box 14450, Portland, OR 97293-0450 -or- Call (971) 673-1234 and ask a representative to send you this information. If the garden is at the caregiver's residence, the caregiver can possess up to four (4) dried ounces per plant and the patient can possess up to one ounce at their residence. Either the patient or the caregiver can transport up to one ounce away from their residence. The garden can contain up to 24 marijuana plants per Patient (6 mature). The garden must not be visible from a public place. Patients who exceed the explicit limits of the state law may also be protected by an affirmative defense or choice of evils defense. There are many cases where strict compliance with the limits will cause patients to suffer because they are not using enough medicine. In such cases, patients should get a statement from their doctor stating that they require greater amounts. All participants should be aware that federal law still prohibits marijuana possession although it is unlikely that an OMMP cardholder would be prosecuted. OMMA does not allow sale of marijuana under any circumstances. Patients and their caregivers should attempt to work out any disagreements themselves. The MCRC can provide advice and information about the law, but we are not trained mediators and have no legal standing to intervene. The relationship is between two individuals. Either party can terminate the relationship at any time. However, termination puts the caregiver in a problematic situation because their garden ceases to be exempted from laws prohibiting marijuana. Changes in the relationship should be thoroughly considered, and, where possible, a written agreement drawn up beforehand. To get full advantage, be fully informed. Read the text of (OMMA) the Oregon Medical Marijuana Act, and the other documentation available, to understand the legal conditions and restrictions which govern medical growing and use of cannabis in Oregon. This info was from a number of sources, mostly the OMMP website. To make sure you are acting on the latest & greatest info, check with the OMMP before relying totally on data from this or any other source. When in doubt, they are the final arbiters and judges of the rules & regulations, so you might as well check with them first. Cannabis is medicine and has been so since mans ancestors first encountered it. Archeology tells us more about the history of this fascinating and versatile plant every day. Educate yourself and others on the issues surrounding it and its utilization. The Oregon Medical Marijuana Act (OMMA), a ballot initiative approved by voters in 1998, allows patients to possess and grow small amounts of medial marijuana. The law required DHS to create a registry system for persons authorized to use marijuana for medicinal purposes. Applicants must provide a statement from their physician that they have a qualifying medical condition and that medical marijuana might alleviate their symptoms or disease. Once their application is approved they are issued a registration card that is renewable annually. For those who understand the utilization of cannabis as medicine, this is an invaluable option in therapy. Coming attractions! sections under construction: > Conditions | Symptoms | Medication | Strain of cannabis best suited. Cannabis is medicine. Is it the right one for you? In this section we talk about some of the conditions and symptoms where others have experienced relief through the application of cannabis. We will try to list ailments involved and medications used along with the theraputic benefits and recommended titration (dosage) levels. Not only that, we want a real, honest assessment of the risks as well. We want to build this into a reference for not only the healing properties of this plant but all the medical marijuana myths and facts. List Pros & Cons. What is your condition? Your current medication? Your doctors involvement is integral to the process. We may be able to help educate your physician. January 15, 2009 - Washington, DC, USA: Clinical and preclinical research on the therapeutic use of cannabis indicates that cannabinoids may curb the progression of various life-threatening diseases – including multiple sclerosis, Alzheimer's disease, and brain cancer, according to an updated report published today by the NORML Foundation. Now in it's third edition, NORML's revised report, "Emerging Clinical Applications for Cannabis & Cannabinoids: A Review of the Recent Scientific Literature, 2000 – 2009," reviews nearly 200 scientific trials assessing the therapeutic utility of cannabinoids for the treatment of nineteen clinical indications: Alzheimer's disease, Amyotrophic Lateral Sclerosis (ALS), chronic pain, diabetes mellitus, dystonia, fibromyalgia, gastrointestinal disorders, gliomas, hepatitis C, human immunodeficiency virus (HIV), hypertension, incontinence, methicillin-resistant Staphyloccus aureus (MRSA), multiple sclerosis, osteoporosis, pruritus, rheumatoid arthritis, sleep apnea, and Tourette's syndrome. NORML Deputy Director Paul Armentano, who authored the report, said: "The conditions profiled in this report were chosen because patients frequently ask me about the use of cannabis to treat these disorders. Ideally, with this report in their hands, patients can now begin talking openly with their physicians about whether cannabis therapy is appropriate for them." For more information, Full text of the report is now available online at: norml.org. Hard copies will be available for purchase shortly. and/or the MERCY Links page. The Oregon Medical Marijuana Guide: A Resource for Patients & Health Care Providers by Ed Glick, RN (Contigo-Conmigo 2001). This is the most comprehensive guide to the Oregon Medical Marijuana Act. It is available online at www.or-coast.net/contigo/ and for purchase on CD - ROM or paper. OHD Procedure in detail, with pointers to Forms. Do's and Don'ts - FAQS from the OMMP. How to apply to have your condition added to the list. Policy, laws, etc. Legal references; For legal info - State laws, rules, statues, legal decisions, etc. - click > here <. Patient rights! Ie- NO Reciprocity - you are only legal in Oregon. NOTE: You have a medical necessity defense even if you don't have your card yet. 1) Can the OMMP refer me to a physician? No. The names of physicians who have submitted forms, letters, or chart notes for their patients are confidential, and the OMMP does not have a physician referral list. See the MERCY Orgz list for resources in this area. 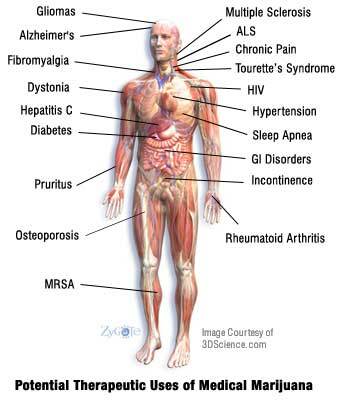 The OMMP is not a resource for the growing process and does not have information to give to patients. See the MERCY Orgz list for resources in this area. 3)	What do I have to pay for an OMMP registry identification card? $20.00 - if you are receiving Supplemental Security Income (SSI) monthly benefits. Note: SSI is NOT the same as Social Security Disability (SSD). PLUS $50 fee to be charged for grow sites < IF > Patient not the Grower. AND * Thre is now a $100 fee for Replacement registry cards. See Oregon Administrative Rule 333-008-0020 for more information. 4) I do not have the money for the application fee. Is it a one-time payment? Can it be waived? Can I make installment payments? Will my insurance pay? Can I pay with my credit card? The answer to all these questions is "no". The fee must be paid in full with each new or renewal application. Make your check or money order payable to "OMMP". You may pay in person at the State Office Building cashier's office in Portland. 5) Why do I need to have a physician sign and date the form or send a chart note to the OMMP? Why can't I just provide my medical records? According to the Oregon Medical Marijuana Act (Section 4 (2)(a)), and OAR 333-008-0020(1)(a), a physician must state in writing that the patient has a qualifying debilitating medical condition and that medical marijuana may mitigate the symptoms or effects of that condition. The OMMP accepts medical records as long as they clearly state the physician is aware that medical marijuana is being used as a treatment and he or she believes the patient may benefit from the use of medical marijuana. The physician must sign and date the relevant portions of medical records you send to the OMMP. The OMMP contacts each physician during the application process to verify the patient is under the physician's care. A signed and dated "Attending Physician's Statement," copies of chart notes or medical records must be current within 3 months of the date of a person's new or renewal application. 6) Why are only MDs (Medical Doctors) and DOs (Doctors of Osteopathy) qualified to sign the "Attending Physician's Statement" of the application? Why not naturopaths, chiropractors, or nurse practitioners? Does the physician have to be licensed in Oregon? The Oregon Medical Marijuana Act states that an "attending physician" means a physician licensed under ORS chapter 677 (OAR 333-008-0010(1)). MDs and DOs are the physicians licensed under this chapter. The law also specifies that a physician must be licensed in Oregon. The OMMP verifies with the Board of Medical Examiners that each patient's attending physician has a valid license to practice medicine in Oregon and has no disqualifying restrictions. 7) Do I have to list a "grow site" address on my application (that is, the address where I plan to grow my medical marijuana)?? Yes. OAR 333-008-0020(1)(b) requires the patient to provide the OMMP with the address where his or her marijuana will be manufactured or produced--that is, a "grow site" address. The OMMP is aware that some patients do not plan to grow their medical marijuana and at the time of making a new or renewal application, may not yet have a designated primary caregiver and/or may not be certain where their grow site will be. You and your caregiver are not protected from criminal laws if: (1) your grow site address is not registered with the OMMP; (2) you provide the OMMP with incorrect grow site address information; or (3) you fail to inform the OMMP of any change in grow site information within 30 days of any such change (ORS 475.316). 8)	What if other people are at my grow site besides my primary caregiver and me. Are these other people protected from civil and criminal penalties? There is a section on the back of the application forms for you to list the names and dates of birth of any other persons who may be at the grow site, other than the patient and/or the designated primary caregiver. The OMMP will include this information in the patient's file and will verify these other names with law enforcement personnel only if an officer asks about a specific name(s) of a person who may be at a grow site. You are not required to list the names and dates of birth of other persons who may be at the grow site; this information is optional. OTHER PERSONS WHO MAY BE AT THE GROW SITE ARE NOT PROTECTED FROM CIVIL OR CRIMINAL PENALITIES! 9)	Do I have to tell my landlord that I am a patient in the OMMP? Can my landlord evict me if I am a patient in the OMMP and have my grow site in my rental housing? Can I live in subsidized housing and be a patient in the OMMP? It is up to you to decide whether or not to tell your landlord that you are a patient in the OMMP. Nothing in the OMMA specifically addresses whether or not you can be evicted because you are a patient in the OMMP, even if you have only the amount of medical marijuana allowed by law. Nothing in OMMP laws specifically addresses whether or not a person can be an OMMP patient and live in subsidized housing. If you have questions about these important issues, the OMMP recommends you talk to your personal attorney to learn about your rights and protections. 10)	Do I have to tell the OMMP if I change my mailing address, add or remove a designated primary caregiver, or change my grow site address? The answer to all these questions is "yes". You are required to tell the OMMP in writing of any such changes within 30 days of the change. The OMMP does not accept changes of information over the telephone. The OMMP only accepts written changes about the patient's address, designated primary caregiver, or grow site from the registered patient. You may send your changes to the OMMP by mail, by fax, or in person. At this time, if you make a change after your registry identification card has been issued, the OMMP will not issue a new card to you. You will get written confirmation from the OMMP that the change was received. Your changes will be made in our computer database and will be put in your file. You will be protected from civil and criminal penalties for these changes. 11) What happens to my application once I mail it? What if I don't send in all the required parts of my application? The OMMP will review your application to make sure it is complete and all parts are current. If your application is complete, you will get a "complete letter" from the OMMP letting you know your registry identification card will be issued within 30 days after the OMMP receives verification from your attending physician. On the same day the OMMP sends you a "complete letter," we mail a "verification letter" to your attending physician. If you don't send in all the required parts of your application, the OMMP will send you an "incomplete letter" telling you what parts of your application are missing. The incomplete letter gives you 14 days from the date of the letter to get the missing parts to the OMMP and tells you the terms under which your application may be denied. When you get all missing parts of your application to the OMMP, you will be sent a "complete letter" and the OMMP will verify your status with your attending physician. 12)	Do I need to keep a copy of my application and any other information I send to the OMMP? Yes! You are strongly urged to keep copies of everything you send to the OMMP at any time now or in the future. For example, the copy of your application is your proof of protection until you are issued a registry identification card. 13) Why can't I go to a pharmacy to fill a prescription for medical marijuana? Pharmacies can only dispense medications "prescribed" by licensed medical practitioners. The federal government classifies marijuana as a Schedule I drug, which means licensed medical practitioners cannot prescribe it. The Oregon Medical Marijuana Act allows patients to grow their own medical marijuana for private use. 14) Is the Oregon Medical Marijuana Act recognized by other states? Can I travel to another state with medical marijuana and my OMMP registry identification card and not be arrested or charged with civil or criminal penalties? 15) Is my confidentiality protected? Yes. The OMMP does not give out lists of patients or physicians. Law enforcement personnel may call the OMMP only to verify a specific name or address of a patient or caregiver. The OMMP will tell law enforcement staff if the patient, caregiver, or address in question is registered, or if an application is in process. The OMMP will disclose patient information to others only at the specific written request of the patient. OMMP computer files are secure and paper files are kept locked when not in use. 16) What should I tell my employer if I am subjected to a drug test? The Oregon Medical Marijuana Act states that employers are not required to accommodate employees who use medical marijuana. It is up to you to decide whether or not to tell your employer that you are a patient in the OMMP. The OMMP has heard that several employers treat medical marijuana like any prescription drug that might impair ability; however, this is not true in all situations. A patient may contact the OMMP in writing to ask the Program to release information about the patient's registration to an employer. 17) It is time to renew my card and my physician's clinic has adopted a policy of not signing "Attending Physician's Statements". A renewal application does not require a statement from a physician regarding the use of medical marijuana; however, a renewal does require the patient to demonstrate that his or her debilitating medical condition continues. You can submit a copy of relevant portions of your medical records made by your physician within 3 months of your application date. The records must be signed and dated by the physician. The OMMP urges patients to work closely with their attending physicians throughout the application process. 18) I live within 1000 feet of a school, AKA a "drug free zone". Can I still grow and/or possess my medical marijuana there? The Oregon Medical Marijuana Act (OMMA) does not address this issue. For questions about laws other than the OMMA, please contact your local law enforcement agency for guidance. 19) Can I have someone else sign and date my application (a "proxy") if I am physically unable to do so? Yes, as long as the individual signing your application identifies him or herself as your proxy next to his or her signature on your application. 20) How are the laws and rules of the OMMA enforced? The OMMP enforces the registration process-making sure applications are complete before issuing a registry identification card, denying incomplete or fraudulent applications, and suspending cards if persons commit violations of the OMMA. The OMMP verifies the names and addresses of patients, caregivers, and grow sites with local and state law enforcement personnel if they call the OMMP requesting such information. Local and state law enforcement agencies enforce the OMMA around the State-that is, they may check to see if patients or caregivers possess or are growing the amount of medical marijuana allowed by law. Local and state law enforcement personnel may take any action they believe is necessary to enforce the criminal laws of the State, including violations of the OMMA. Local and state law enforcement actions may vary from county-to-county and district-to-district. The OMMP has no authority to direct the activities of local and state law enforcement agencies. What are the requirements? Finding a physician thats right for you. Educating health care professionals and supporting doctors (as well as yours!) rights and responsibilites in the realtionship. (legal) Analysis and documentation of the proper (BME) procedures and communication of the same. (Medical) Information to educate your physician about cannabis as medicine. The Oregon Medical Marijuana Act was adopted by voters at the November 3, 1998 general election (Ballot Measure 67). The Act was amended by House bill 3052, passed during the 1999 legislative session. a NOTE: Nine years after the passage of the Compassionate Use Act of 1996 there has been an ongoing battle of the federal government to attempts to roll back California law. Despite injunctive protection DEA operatives have been part of a continuing RICO to suborn Conant v. McCaffrey. At least nine medical marijuana physicians have been the victims of Federal / State / Local actions with complaints to the Medical Board. As one of the responents to this assault, my adverse finding is on appeal to Superior court. I request the opportunity for us California physicians who are critical to the survival of CUA and Oregon physicians who are under similar assault on OMMA 1998 by medical board to present our cases to the conference. Through continuing investigative journalism, Fred Gardner and Patrick McCartney should be part of the presentation who can document the continuing criminal justice conspiracy to suborn Calfornia law and federal injunctive relief. Growing and otherwise obtaining medicine. Networking with other Patients and related Organizations. Expectations. Selecting a CareGiver. Application of your medicine. Whether inhaled (smoked, vaporized), consumed (food or drink) or other (tictures, oils, etc.) Titrating your dosage. Tired of all this hassle? Make a change, take action. End the War! Advocacy and Activism. Legislation; Candidates and Initiatives. Help educate your circle of support about OMMA and the beneficial properties of marijuana and cannabis in general. Help with the implementation of the OMMP. For legal info - State laws, rules, statues, legal decisions, etc. - click > here <. 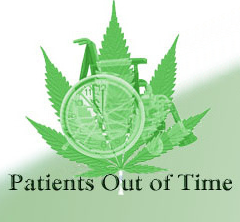 As a Patient - remember YOU represent the cause; Don't flaunt your medical marijuana usage. While you should feel free to talk openly about the therapeutic benefits of cannabis for yourself - and proudly display your banners, which give you an opportunity to educate - you should also be considerate and always discrete in obtaining and consuming your medicine. Medicating should be personal and you should handle it as you would any other medicine. This especially includes educating family and friends, most notably children. Situations where people may mistakenly consume (ie- unmarked brownies) or otherwise be affected by some aspect (ie- second-hand smoke) must be expected and proactively managed. See Caregiver/Patient Guidelines, above. As a Patient/Caregiver - tell everyone your anecdotal experience (what happen to your own body, or that of someone you cared for, in your own words) when medical marijuana was utilized as opposed to other drugs. Help educate your circle of support about OMMA and the medical properties of marijuana and in general. As a Concerned Citizen - Educate yourself fully and ACT. Research, network, follow up and learn as much as you can so you can effectively share the information with others that think they are opposed. Stay in the loop and be aware of legislative, organizational or business activities that may effect yourself and/or those you care about. Constantly write to legislators, media, businesses and organizations and let them know the good news. Organized efforts; joining us -or- forming your own (individual -or- group effort) other Organizations to consider … > see list. Join a local group of patients and caregivers. By keeping in the loop, you’ll be apprised of the latest developments in the field and alert you when a vote is scheduled and the need is crucial for a letter to your state or federal elected officials. You'll be informed of state and regional events where you can meet other advocates and help shape reform efforts. Launching a particular project for which you need the help of other volunteers and/or an organizations authorization to act in its name. The contacts listed on the MERCY Orgz list are a few of the activists and groups dedicated to the implementation of OMMA and welcome inquiries from those with questions or issues. They provide one or more of the following services: Doctor Referrals and Patient Networks; either a caregiver (how to grow) or related Organization formed to help patients get their medicine. They may have Doctor referrals or help on filling out forms as well as contact with current Patients. Caveat emptor! Each has it's own rules and regulations, please study & research thoroughly before committing resources.
" Hi,I am individual who has a Anxiety,depression disorder.and willin like to know how can I get a card for medical marijuana purpose to treat my Anxiety,an depression,an for legal use an for growing ,how can I get a card and get a doctor who would help me." " I have terminal lung cancer and am on social security am trying to find out what form i need to fill out for low income and medical cannabis. " " We are medical and recreational marijuana supplying cooperation and got the best of high graded products and outstanding services. We aim at the provision of high graded product to all our clients that are in need and also the establishment of a long term and trust worthy business relationship with all our clients. We are top legit and reliable supplier of quality KUSH,SEEDS, WAX, and OIL. Top Medical Buds for cancer, pains, Eye problem, appetite, sleeping problem, Nausea/vomiting,Relaxing, hunger,stress,Daytime use, mild sports (e.g. Golf or PS3) and social activities,insomnia, brain problem, body- alleviates depressed states, anxiety, nausea etc. E-Mail: denversmokebuds@gmail.com Tel: +1 (720) 263-1009 www.denversmokebuds.webs.com "
" Hi, I recently moved to Oregon. I need a medical card soon. I have severe pain, nasea, scoliosis of spine. Can I do it all online? Is there Dr near Florence, Ore.? " "OHSU Provides Medical Marijuana Clinics - I went to see my primary care physician the other day for a long overdue visit. The primary reason I was there was due to severe dizzy spells I was getting that knocked me off my feet. While there I mentioned all my other aches and pains mostly caused by sports injuries when I was young. Now I'm turning 60 and all that fun and torcher is catching up. When asked how I deal with the pain I said "medical marijuana". He then asked if I had a patient card to which the answer was no. The next thing I knew I was referred to the Medical Marijuana Clinic at OHSU Richmond center. A few weeks later I showed up at my appointment only to meet a fairly large group of patients waiting for the same clinic. It just so happened that the doctor who addressed the group was one of our contacts. It seems we have had a tremendous impact on our local hospital. The doctor assured me that the clinic was growing very fast and getting bigger every session. Thanks OHSU! Yes, OHSU is now signing cards. If you are uninsured, lost or have no doctor they will help with this and your entire healthcare. Here is the number: 503-418-3900 "
"Welcome on the private site about and by The 40 year old male Dutch Independent and Researching Anonymous Patient on G+ and FB as Jeroen Green who used 17 prescriptions of 4 species of dutch governments regulated medical cannabis Bedrocan. Jeroen is the creator of Cannabis Around Nations and it's Google plus page and community. - https://sites.google.com/site/cannabismedicinalis/home "
" Telet mm e knus we hen I can ky just take ms 3 hour tour, "
> I just got off the phone with a reporter from Michigan who is doing a > story on children and medical marijuana. He is trying to find out which > states have a provision that allows children to consume medical marijuana > with their doctor's and parent's permission, such as Oregon and Michigan. > Does anyone know of a list, rather than calling state by state?" - so we can get them to one of the Clinics who's Doc's will sign. We can refer folks to a Doc that comes in to Salem once a month ($200), we need to review the records first ($25). - others doing the same things. That'll get ya started, chat more soon. p.s. Thank you for serving. " " Collective Doctor Head Shop Hydro Store Lawyer - found in Portland: 3 ... visit - http://maps.nuggetry.com/search/dispensaries/location/Portland/#0 "
"MPP has also created a handout with medical marijuana research about each qualifying condition: check out - www.mpp.org/research"
what is the medication called Cesamet for (Im taking it for Fibromyalgia I dont know why my Dr Ordered it! Does any one take it? Also, Cesamet® CII (nabilone) Capsules For Oral Administration Cesamet Description Cesamet® (nabilone) is a synthetic cannabinoid for oral administration. 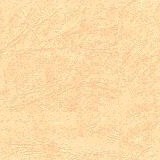 Nabilone as a raw material occurs as a white to off- white polymorphic crystalline powder. Cesamet (nabilone) is an orally active synthetic cannabinoid which, like other cannabinoids, has complex effects on the central nervous system (CNS). It has been suggested that the antiemetic effect of nabilone is caused by interaction with the cannabinoid receptor system, i.e., the CB (1) receptor, which has been discovered in neural tissues. Data on the chronic use of Cesamet are not available; experience with cannabis suggests that chronic use of cannabinoids may be associated with a variety of untoward effects on motivation, cognition, judgment, as well as other mental status changes. Whether these phenomena reflect the underlying character of individuals chronically abusing cannabis or are a result of the use of cannabis is not known. visit - http://www.drugs.com/pro/cesamet.html "
It sounds to me like you have nothing to worry about at the state level. Federal law is another story, but that's what we all deal with on a regular basis. On child endangerment, the drug activities in the vicinity of the child have to be "illegal" so having kids around legal med marijuana use is not a crime. Take a look at constructive possession. There is a case that says being there is not enough, even with knowledge, without control. The mmj/custody cases we've seen have been for much more egregious child endangerment/abuse. I think so long as it's locked away, and the 15 year old isn't exposed to it on a regular basis in such a way that she can't avoid it at all, then I think it'd be fine. NORML attorneys can help with these issues, visit - norml.org/lawyers/or - for Oregons list. " "My husband is a registered grower for 3 people plus himself; they have all the proper registration and user cards etc. However, my elderly parents live on our property as well as myself and my 15 year old stepdaughter. None of use use marijuana at all. Spouse grows it in a greenhouse which is secured and none of the rest of us living here ever enter it. I and my elderly parents are worried that we could still face legal penalties for living on the property when we are aware there is a legal grow operation as well as being charged with child endangerment. Any help would be greatly appreciated!! " "I welcome you all to come and check out my brand new page. www.ommpgreenpage.webs.com - (resources,Grow Tips,Links,News, Current Laws, Blogs And MORE! " "Q: i am in the last 3 weeks or 3+ weeks before harvest and i am fighting spider mites. when must i stop bug spraying to kill these suckers and not spoil the crop? A: For mites, as far as your scheduling goes - u can bomb now, wait a day, bomb again and wait a week. If still there, u can try one more time before you're due to harvest. NOTE: this (Bomb method) works only while still in Veg stage, if in Flowering, them must use Wipe Off method. Rumor has it there is Bombs for Flowering stage of cycle but not yet recommended. " "have created a short survey for medical marijuana patients. You can take the survey at: http://www.letfreedomgrow.com/Oregon/survey.asp "
" EXPERIENCED GROWER HAS A COUPLE SPOTS OPEN FOR PATIENTS, CALL CHRIS AT - 503 421 6242 - FOR MORE INFORMATION SAY JEFF RECCOMENDED YOU! " "i have sculiosis, am i cualified for mudicinal use? my email adress = samtrujillo72@yahoo.com "
"I have extra meds and will part with some for very low donation. Text me @ 971-240-2814 "
"Differential effects of medical marijuana based on strain and route of administration: A three-year observational study, visit - http://www.ukcia.org/research/DifferentialEffects/ "
"Barbados Banana Ice Cream - Everyone loves ice cream, so here we have a great pot recipe to help with the munchies get you nice and chilled (pardon the pun) at the same time. The best thing about this pot recipe is that all you have to do is heat the hash, there’s no making cannabis butter first! Simply follow the instructions and you’ll have that Barbados Banana Ice cream ready in no time! Plus storing the ice cream in the freezer will maintain it's potency for months to come, just make sure you label the carton!! Plus ... Weed Brownies Weed Butter Space Cakes More Marijuana Recipes Links Marijuana Seeds Smoking Equipment Submit A Recipe ... visit - http://www.marijuanacooking.com/barbados-banana-ice-cream.htm "
"Becoming a Patient in Oregon - http://www.safeaccessnow.org/section.php?id=424 "
" I would greatly appreciate all handout materials you can provide me with in my personal quest to acquire knowledge and tools and the process for getting a Medical Marijuana Registry Card please. Thank you... my address is 1901 Front St. SE Salem, OR 97301 and my cell phone number is 541-999-4736. THANK YOU KINDLY!" "Welcome to the Clone and Starter Exchange. Getting ready for the outdoor season but still need starters? Do you have starters to trade or get reimbursed for? Then this this meetup is for you. We have held this type of meetup a few times. Sometimes a lot people show up and sometimes very few people show up. It would be great to get as many people to this meetup as possible. The grow season has started and people are hoping to ease their pain this year with adequate medicine that they grow themselves. visit - http://www.meetup.com/Oregon-Medical-Marijuana-Growers-and-Patients-Association/events/21457741/ "
"This is a great service. I have waited too long, and am finally. at nearly 70 years of age, going to give myself a gift of information. Thank you, folks! " " I just obtained my OMMP card under the impression that after I had obtained I would have to pay for a doctor's visit and the card and not the actual medicine. To me, a person that was in a six week coma and a person that tolerates my diminished performance as a contributing member of society, I really suffer from the lack of funds. So, I dom't want to pay the rather steep prices or rather "donations" and feel like returning to the black market and yet am starting to realize the importancee of having a grower, the only problem is that I don't know anybody and I cut off those old ties due to religion a long time ago. Can you help a fellow cardholder find a way to produce medicine and a grower? Any info would be greatly appreciated. You can contact me by email at - justinmclau1@hotmail.com "
" Your info is out of date. You have 3 mature plants and 3 ounces listed. It is now 6 mature plants and 24 ounces. " " how can mental illness not be called a disease? hello if u are mentally ill u are given enough meds to put a horse down, they alter your mind and harm the body liver ect. medical marijuana is safe and will not destroy the liver, kidneys ect. come on oregon do the math please. " " I would like to find a grower and guidance in getting my card. I have had chronic burning and pain in my feet for over three years now. You can contact me at shayrob2000@yahoo.com. Thank you "
·	A fundraiser (maybe even for MERCY!) "
"I need a good source for medication, can you please help "
"im a new patient/cardholder looking for a grower/medicine supplier man it seems almost impossible to find one, guess everybody else has the same problem, guess we got to just keep trying, man california seems to have dispensaries every block, and they deliver too, wow hope oregon gets a despensary some time soon we could learn frm their processes ... "
" My name is Kris Zeh and I'm trying to get information or advice for a friend of mine, she owns a warehouse in the San Mateo area that is zoned for storing Medical Marijuana. The warehouse is 5000sqft and we are looking to rent the warehouse out to either a licensed Medical Marijuana grower or a California Dispensary. We are also thinking about trying to start up are own company that could store and deliver the product, do you have any advice our maybe point me in the right direction. Thank you for your time. (My E-Mail is zehkris@aol.com) "
"As a younger person of 24 with early onset Fibromyalgia, I would like to get my card, but it is so socially unacceptably seen in the communities that I am a little nervous to get mine. " " I need to find a reliable grower. " " we Need to come-up with plan so we do not have problems about getting our medication. " "Well i moved back here from california. but I am lost when it comes to a doctor to find locally to get this ok'd or suggested....i suffer from chronic back and both knee's pain and ptsd....the V.A. recently diagnosed me with depression and anxiety secondary to ptsd. In the past i read an article from a veteran that uses in washington and he say it helps his ptsd....beleive me i need this help with alot of fear. and info. about doctors in roseburg please let me know...also i have applied for social security disability do to not being able to work...contact me at kenneth.mccarter@hotmail.com. ...say cannibis in headline. "I was wondering how I could sign up for program!! I'm in need of medical, I have arthritis in hands and feet. and i also suffer from a deciese called Lupus please help me out!! " " I just want to post a review of Oregon Medical Cannabis University. I can not say enough good things about this group. They helped me get my card. Once I did they gave me free clones and medicine. I am dying of cancer and the help and knowledge I was provided with is priceless. If you need help call OMCU!" "I would like to see more "Networking for medicine" I can help people set a room up and get them started with some start up classes. My e-mail is - berlwatters@gmail.com - I am a pastor and support the right to "Use Gods med instead" I have been growing for alot of years and get good MED. " "I am curious why the State of Oregon does NOT have any local or state run dispensaries yet? Does anyone know what is going on with this? Also, if California starts selling legally, does anyone know if there are any issues with cardholders, going to California, buying, and then driving back to Oregon? Since it would be legal to buy there and then your OMMP card covers you in Oregon." " I am a card holder currently and looking for a provider for my ommp meds. any info on finding one that doesn't include joining a group or going to meetings would be wonderful. Thanks, Salem, Oregon "
"MEDICAL MARIJUANA PROCON.ORG | Medical Marijuana ProCon.org presents laws, studies, statistics, surveys, government reports, and pro and con statements on questions related to marijuana as medicine. visit - http://medicalmarijuana.procon.org/ "
"The Oregon Medical Marijuana Act, a law in the U.S. state of Oregon, was established by Oregon Ballot Measure 67 in 1998. It modified state law to allow the ... en.wikipedia.org/wiki/Oregon_Medical_Marijuana_Act "
If pot is truly medicine, shouldn't it be standardized? A lab has big plans to test the potency of Cali cannabis sold in dispensaries. http://drugsense.org/url/nmo76lyg "
"Dr. Grinspoon presents various examples of ailments for which Cannabis may be used as a medicine. The Cannabis College attempts to provide as much information as possible regarding relief for Crohn’s disease/IBS, ADD/ADHD, epilepsy, MS, paraplegia and tetraplegia, schizophrenia, fybromyalgia, migraine, itching, cramps during menstruation and pain during childbirth, and mental disorders such as depression and mood swings. Grinspoon’s works also describe other cases whereby Cannabis might prove effective: Parkinson’s, chronic fatigue/ME, other causes of severe nausea, for antibacterial action, dystonia, eating disorders (including anorexia and bulimia) and action against tumours. visit - http://www.cannabiscollege.com/medicalcannabis.html "
ASA has produced a number of highly informative booklets on the use of cannabis to treat specific conditions. visit - http://www.safeaccessnow.org/article.php?list=type&type=135 "
"If medical marijuana is good for CA RI & Oregon, why not all 50 states as well? Do you know if NJ passed the med. marijuana bill yet and if so any doctors I could get in touch with in NJ that perscribe med. marijuana. " "AAMC has become an expert on the www.opposingviews.com website. Arthur Livermore * National Director, American Alliance for Medical Cannabis * 44500 Tide Avenue, Arch Cape, OR 97102 USA * Phone: 503-436-1882 * URL: http://home.pacifier.com/~alive/index-t21.html "
" are expenses tax deductible? like lights,hydroponics,nutrients, "
" I am feeling I have exhausted all other medicinal options, and was curious if a person who suffers from CFIDS aka Chronic Fatigue Syndrome would qualify for Medical Marijuana treatment?" "I need assistance finding a physician in my area that will prescribe medical marijuana for me. I meet the criteria to receive a medical marijuana card; however, I have no idea where to go to find one. My personal physician is opposed to it's use for any reason, and I am looking for another physician. Can you help? Thank you for your kind consideration in this matter. " "How do you aquire medical cannabis in oregon? | Answerbag.com How do you aquire medical cannabis in oregon? Complete the application (visit - www.oregon.gov/DHS/ph/ommp/ ) Patients may grow their own medicine, or get a caregiver to grow... www.answerbag.com/q_view/425679 "
"Medical Marijuana - ProCon.org Jun 30, 2008 ... Features hundreds of credible pros and cons including scientific marijuana research and expert opinions on medical cannabis. medicalmarijuana.procon.org "
"Medical cannabis - Wikipedia, the free encyclopedia ... that cannabis' psychoactive properties were recognized, and doctors used it ... from a doctor confirming they can benefit from the medical use of cannabis. ... en.wikipedia.org/wiki/Medical_cannabis "